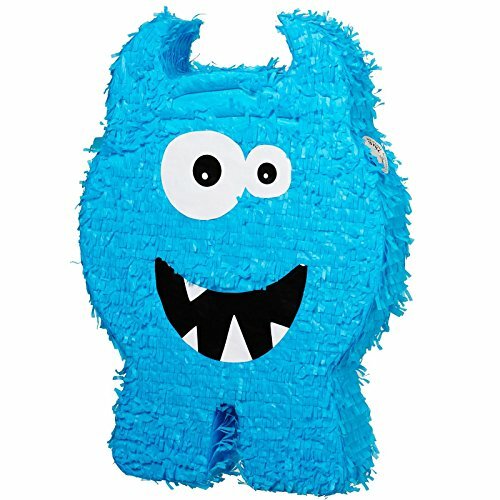 The Monster Classic Pinata- How many swings will it take to get at all the treasures you’ve tucked inside? A removable sticker marks the hidden location where candy should be inserted. Each pinata is uniquely crafted. Exact pattern and color of materials used may vary from image shown. Favors and fillers, bat, blindfold and pull-string pinata kit sold separately.